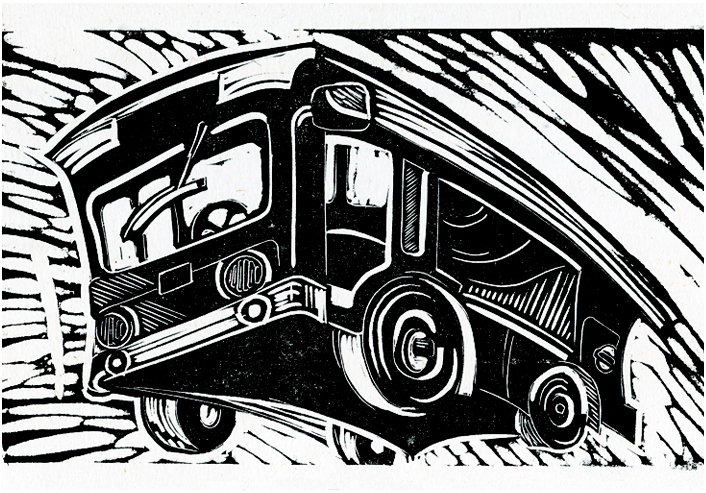 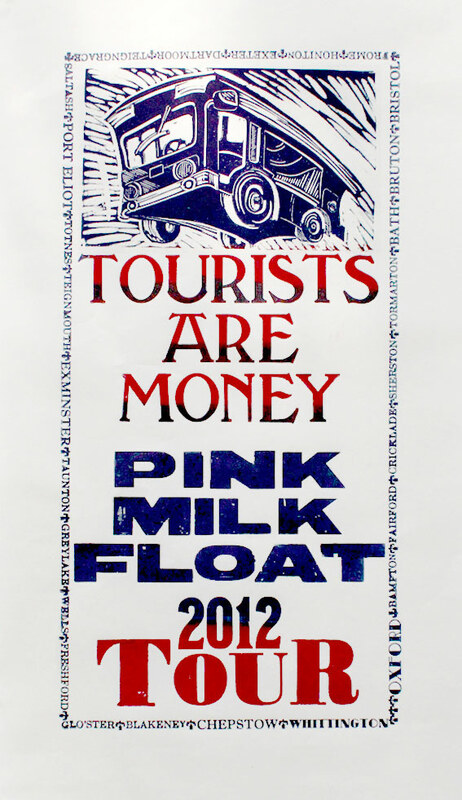 Linocut illustration for the Pink Milk Float 2012 Tour celebratory poster. 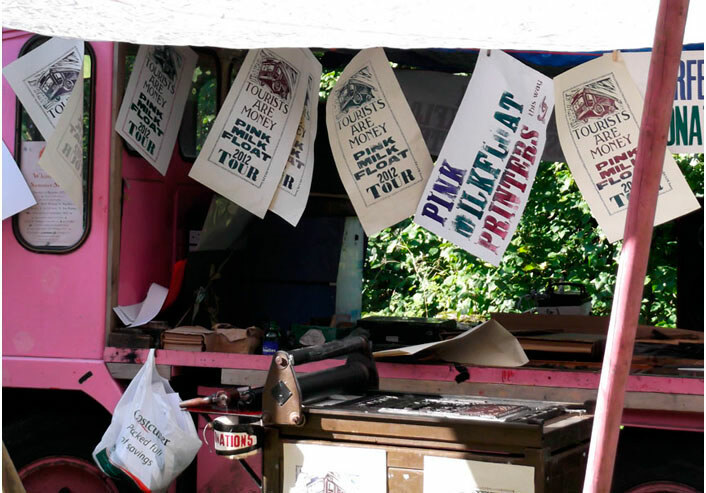 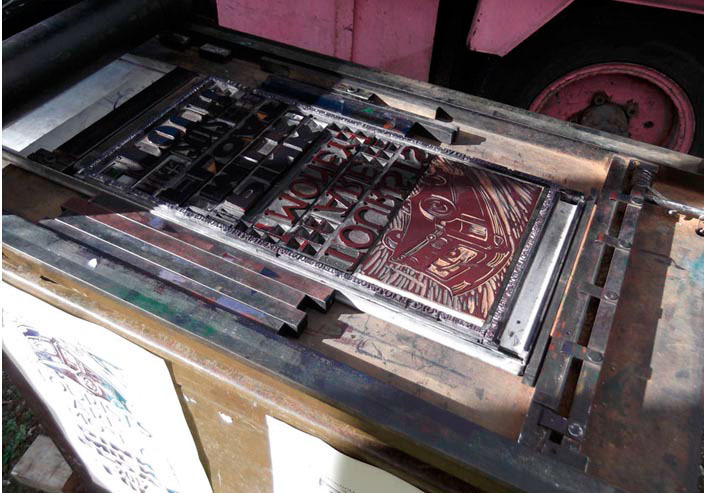 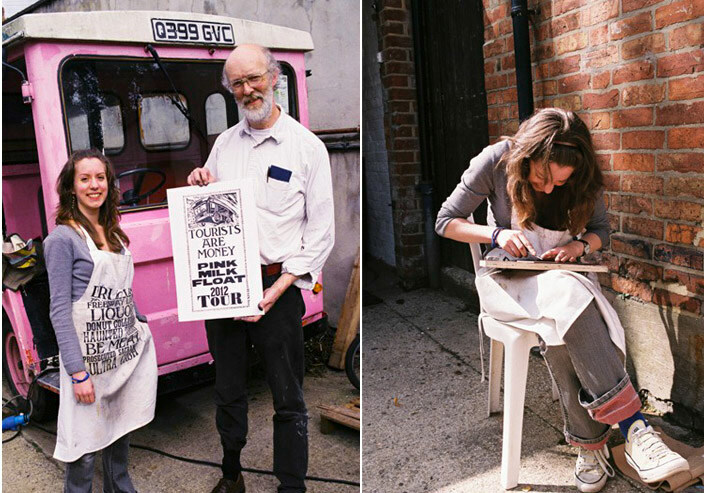 Bringing letterpress to the people, the milkfloat travels across the UK promoting an appreciation for letterpress by encouraging the public to create their own slogans, posters and public notices at various festivals, open days and tours around the country. 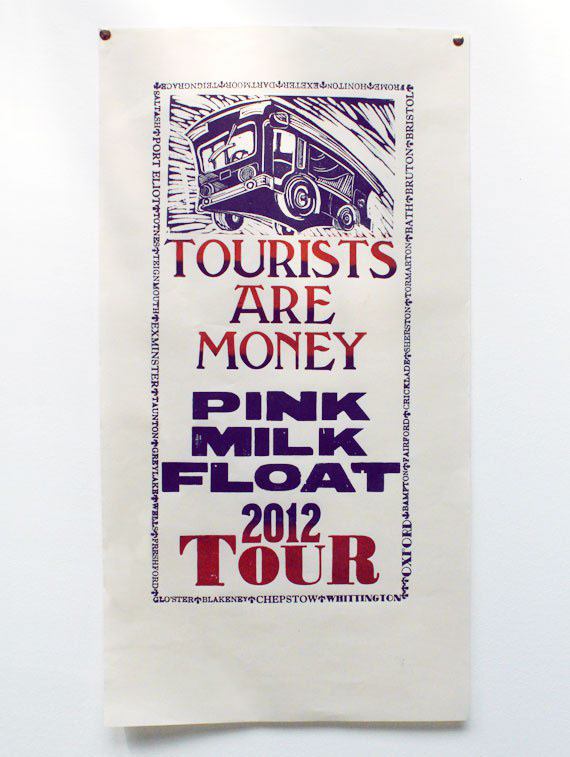 The milkfloat illustration was cut from linoleum and surrounded by wooden and metal letterpress printing type. 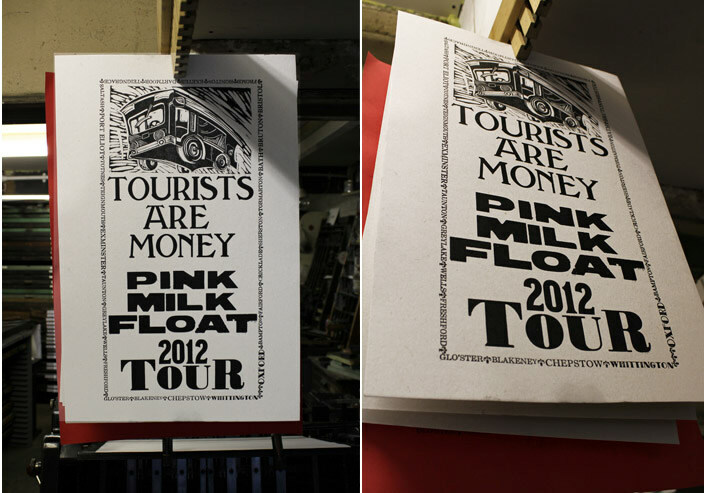 The poster was then inked with various oil-based colours and printed on a portable proofing press by passing visitors.